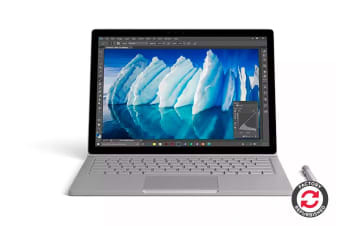 With professional software, an Intel Core i7 CPU and outstanding graphics, Microsoft’s innovative Surface Book with Performance Base gives you everything you need to work or play, anywhere! 2 full-size USB ports, SD reader, great wireless capabilities and more! Whether in laptop mode or tablet mode, the high resolution 13.5” PixelSense display gives you stunning colours, high contrast and low glare for unbeatable images and viewing comfort. 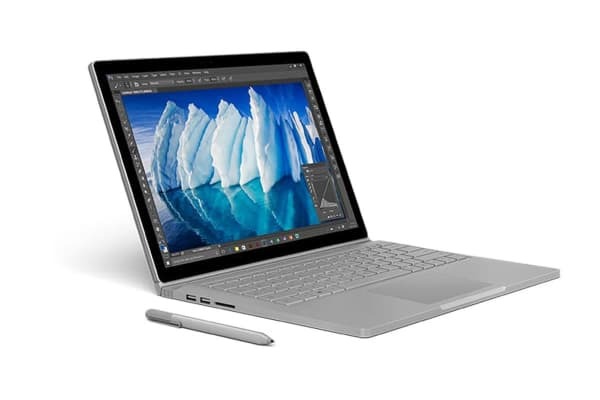 Packed with the power of a 6th Generation Intel Core processor, the Microsoft Surface Book with Performance Base delivers a beautifully smooth and dynamic laptop experience. This is a laptop that has been designed to let you get creative in fields from engineering to designing and a whole lot more in between! And to let you work uninterrupted when your creative juices are in a flow, it gives you an amazing battery life of up to 16 hours! 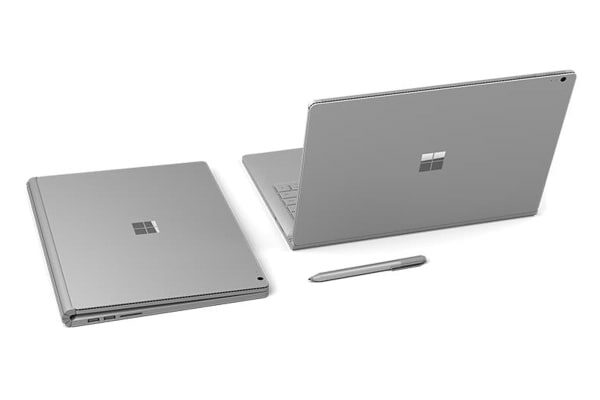 You can seamlessly pair this laptop with your existing IT infrastructure, as it runs desktop-standard professional software. Get on with your work quickly by simply setting up the Microsoft Surface Book like any other PC! Just join it to a domain and manage it with tools already in place. When it comes to security, it lets you use features like BitLocker, new Enterprise Data Protection, Trusted Boot, and Windows Defender for ultimate data privacy and malware protection.